Residents of southern city reported explosions at 9:30 p.m. Residents of the southern port city of Eilat reported hearing loud explosions at 9:30 p.m. Thursday. Security forces are checking to determine if these were Grad Katyusha rockets. Unlike the last time in which rockets struck the city, this time no alarm went off and no flashes of explosions were seen. There are no reports thus far of casualties or damage. Police and military sources confirmed that there were sounds of explosions in the city. Thus far, no debris of rockets has been found. 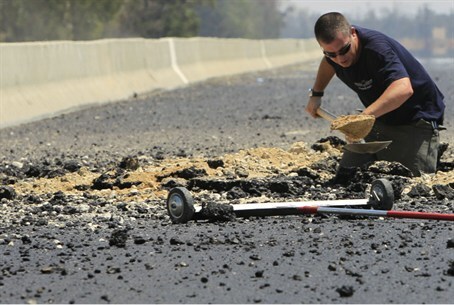 The IDF has asked the Egyptian military to check for such debris on its side of the border.